Snowbird’s flagship restaurant and lounge, the Aerie, on the 10th floor of the Cliff Lodge, is a perennial favorite among those who recreate in Little Cottonwood Canyon. Aerie’s modern lounge, with its 15-foot-high windows overlooking the mountain, is just the place to be each day from 5 to 6 p.m. when Aerie’s small-plate offerings are half-price. 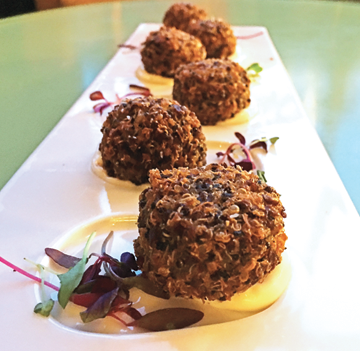 Executive chef Ken Ohlinger’s modern American gastropub cuisine fills the hungry void after a day on the slopes, with 10 mouth-watering appetizers to choose from, including chipotle-braised pork cheek, tuna tartare and crab cakes. Sit back on comfortable barrel chairs and couches and take in the view while sipping a glass of wine from the Aerie’s extensive award-winning wine list. 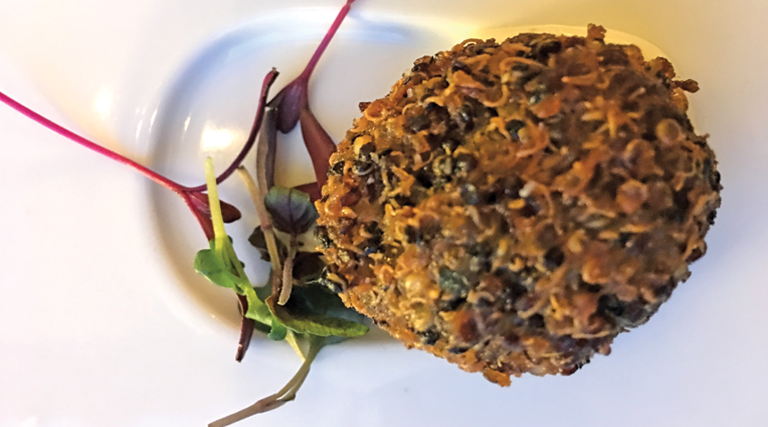 For an appetizer that satisfies but leaves room for dinner, consider the Aerie’s Fritters, made fresh daily with tri-color quinoa and mushroom powder. A serving of six is lightly fried and plated over a dab of truffle herb aioli. Not only are they light and crisp to behold—and to eat—but represent a great way to fritter away a happy hour.